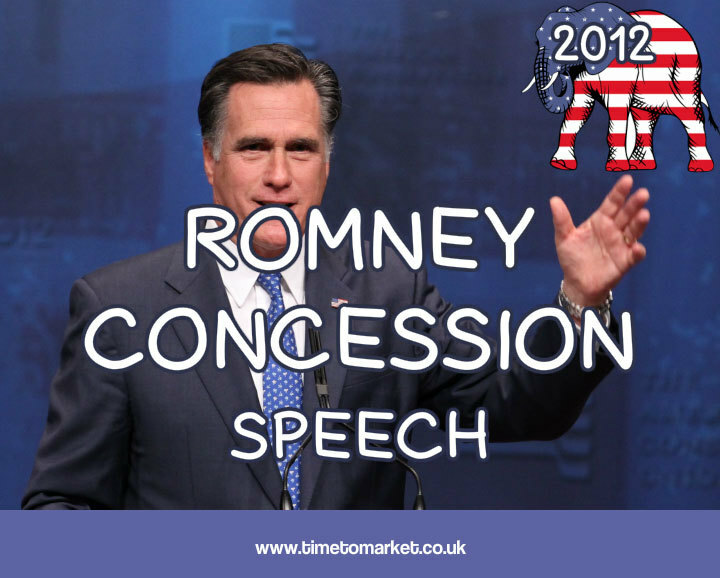 We sensed that Mitt Romney would have gone into Tuesday night’s election count with two speeches in his pocket. There’s always work for a good speechwriter at this time of year. And he has counted on the support of speech writer Peggy Noonan. As it turned out only one speech was needed. And that was his concession speech. And some concession speech it proved to be. He spoke in Boston, Massachusetts where his speech took all of five minutes for him to deliver. Just five minutes to thank those who mean the most to him. And, of course those who helped with the campaign and, Paul Ryan who ran on the same ticket. He appeared energised and comfortable as he spoke using autocue. His concession speech oozed courtesy and charm. It congratulated President Obama and wished his family well. Like so many of you, Paul and I have left everything on the field. We have given our all to this campaign. I so wish–I so wish that I had been able to fulfill your hopes to lead the country in a different direction. But the nation chose another leader. And so Ann and I join with you to earnestly pray for him and for this great nation. Of course you can read more about a concession speech and most other types of speech with our series of public speaking tips. 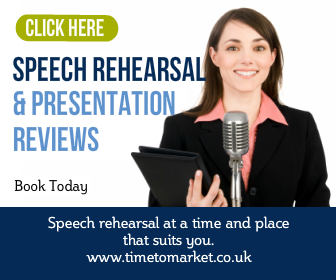 And, when you are ready to really improve your public speaking skills, please don’t hesitate to get in touch. 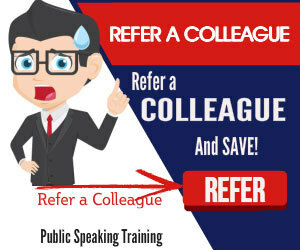 We can help with public speaking skills training, and one to one skills coaching.